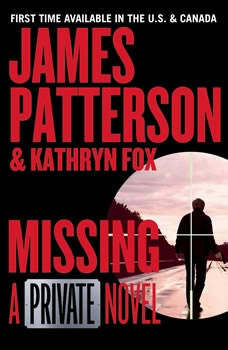 Even for Private Investigations, the world's top detective agency, it's tough to find a man who doesn't exist . . .Craig Gisto has promised Eliza Moss that his elite team at Private Sydney will investigate the disappearance of her father. After all, as CEO of a high-profile research company, Eric Moss shouldn't be difficult to find.Except it's not just the man who's gone missing. Despite the most advanced technology at their disposal, they find every trace of him has vanished too.And they aren't the only ones on the hunt. Powerful figures want Moss to stay "lost," while others just as ruthlessly want him found.Meanwhile, a routine background check becomes a frantic race to find a stolen baby and catch a brutal killer - a killer Private may well have sent straight to the victim's door . . .